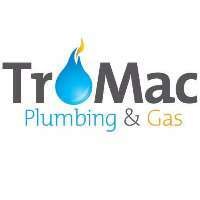 Tromac Plumbing & Gas based in Brisbane specialises in gas fitting, rainwater tanks, backflow preventions, drainage replacement & repair, hot water installations and so much more. Tromac Plumbing & Gas has enjoyed a strong growth since it began providing plumbing and gas services in 2004 through the quality and reliability of our work resulting in a loyal, ever-expanding customer base. Our professional and friendly team is built on a combined 40 years of plumbing experience and pride themselves on delivering the highest quality services in a timely and effective manner. We are fully insured and have all the safety documentation in place to provide reliable service to our customers. Contact Tromac Plumbing & Gas today should you need immediate plumbing services today.